Home Companies Shanghai Duxia Industry and Trade Co.,Ltd. My company's production of canned tuna processing production line absorbs foreign advanced technology, technology and equipment designed, its main: tuna sacks raw material production lines and canned tuna production lines. 1 tuna bag raw material production line main equipment: hydraulic unloader, grading conveyor belt, to visceral conveyor belt, basket conveyor belt, cooking pot, to the first working conveyor belt, to the red meat conveyor belt, plastic forming machine, check the weight Machine, Metal Detector, Automatic Dicing Machine, Sealing Machine, Tray Cleaner, Conveyor Belt, Real Tank Cleaner, Sterilizing Pot, Empty Can Washing Machine and so on. 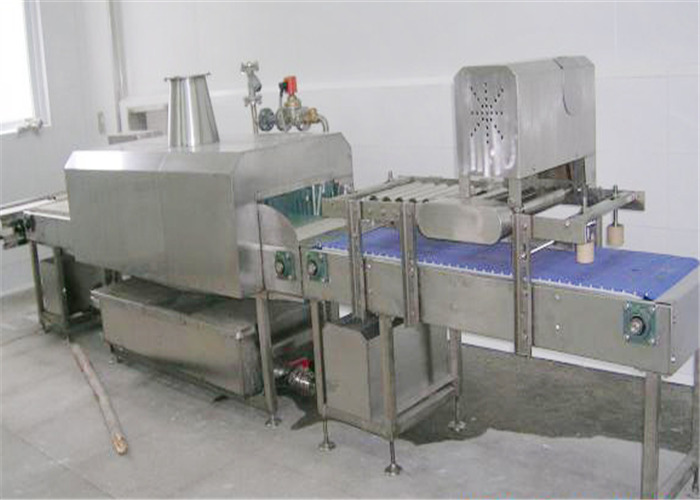 2 canned tuna production line main equipment are: hydraulic unloading machine, grading conveyor belt, to visceral conveyor belt, basket conveyor belt installed, cooking pot, go to the first work of the conveyor belt to the red meat conveyor belt, check the machine, metal detector, Automatic dicing molding machine, sealing machine, tray cleaning machine, add soup conveyor belt, real tank cleaning machine, sterilization pot, tank washing machine and so on. Shanghai Duxia Industry & Trade Co., Ltd. is specialized in developing and manufacturing various whole set of packaging production systems and import & export trade. Based on enormous technology skills, we follow market demand as our guide, production development as our responsibility, we can design the best economical reasonable solution program. Advanced design and professional technology, precise manufacturing is our remarkable characteristics. Our company already pass quality management system, established integrity Quality Guarantee System, to insure the quality and performance of our products. Our company devote to digesting and absorbing international advanced science of processing and automatic equipment. We have cooperated with company in Canada, Italy, Switzerland for long time. We have developed various advanced filling, packaging and conveying equipments and we have reached to professional level. Our automatic production system is widely used in food, beverage, dairy products, canned products, cosmetic, lube, medicine, chemistry, etc. Q2: How does your factory do the quality control? A: “QUALITY FIRST " We purchase qualified parts, test the machine every step when manufacturing. We have SGS certification and ISO certification. Q3: How about the installation? A: Option 1, our engineer install the machines for you, also train your staff until they can run the machine independently. Option 2, you learn this in our factory. Q4: Do you have after-sale service? A: 1 Year Warranty and timeless maintenance service. Q5: How about the payment term? A: Payment term:1, T/T 30% , 70% before shipping.